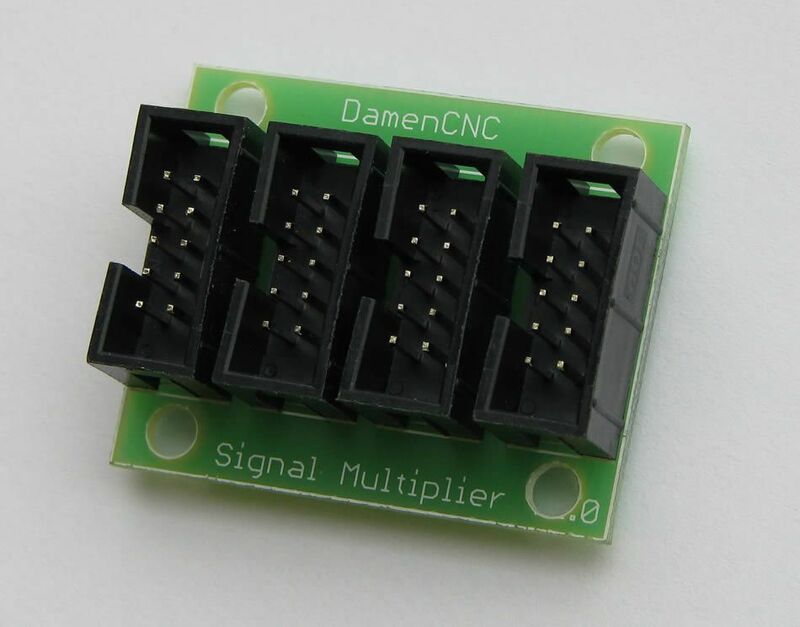 10 Pole Ribbon -->> Signal Multiplier | DamenCNC B.V. The USBCNC interfaces have ribbon cable connectors. These work very well with all our plug and play devices. But sometimes one of the outputs on the USBCNC board needs to be used multiple times. In that case this signal multiplier is a nice product. It allows one ribbon cable connection to be duplicated 3 times.